Once we enter recovery, we can often feel like we have to be perfect. We want to be the best person that we can be but trying to clean up the wreckage of our past is a process. It’s not something that can be tackled in 30 days. So how can you start being a better person today? It’s not that difficult; there are tons of small practices that you can instill in your daily life. 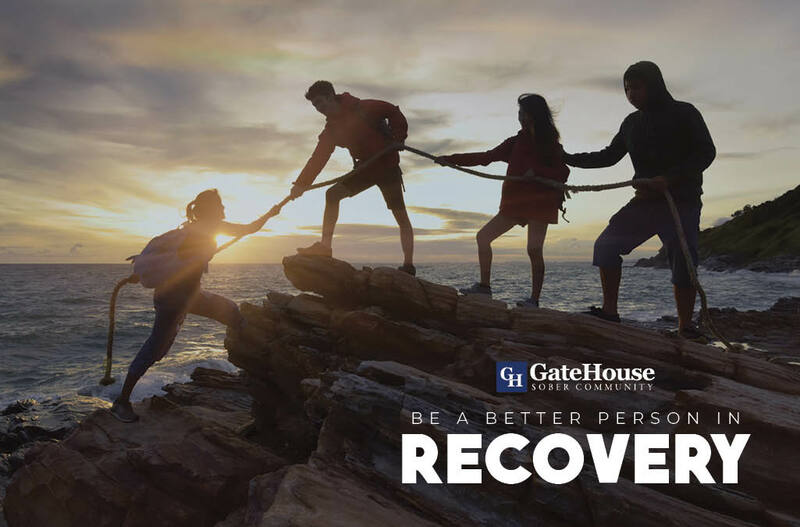 No matter where you are in your recovery these simple practices can help you become more grounded in life and are fulfilling. The attitude of gratitude is something you often hear in the rooms of 12 step fellowships. What does it mean? Gratitude is more than just being grateful for the things that you have in your life. The definition of gratitude is the quality of being thankful; readiness to show appreciation for and to return the kindness. Gratitude is an excellent quality to have. It can be as simple as when someone holds a door open for you, instead of giving the person a head nod, say thank you. If someone drops something they’re carrying, pick it up and return it to them. From personal experience, the first time I saw a woman leave a wallet phone case behind I promptly notified her. Whereas before I would have grabbed it and walked away as fast as I could. The truth behind we don’t have to live like that anymore is as accurate as you make it. She was so grateful that I had told her and thanked me profusely. The feeling of returning kindness to someone made me feel fulfilled. Nightly gratitude lists and a 10th step inventory is a great idea because as we go along in recovery, we start to acquire things. Material things can often take precedence over important matters quickly and without us realizing. If you remain grateful for the things that you have and the hard work you put in to get those things, it keeps you grounded. Practicing gratitude effects every area of your life. Some simple gratitude practices can be found here. During active addiction and alcoholism, we don’t do things for the sake of doing them. There was always some sort of payoff that we expected back. Everything was a manipulation for us to get the desired result we wanted out of a situation. That can be a hard habit to break, that is how we learned to interact with other people for a long time. Paying it forward can be a way to get out of this habit. If someone asks you for help moving, don’t ask them to help you move when the time comes. Tell them to pass it on to the next person. When we do kind acts for other people, it also makes us good. Service is a huge part of 12 step fellowships. When you do something nice for someone and expect nothing in return, but for them to pass on that help, it will make the person you helped to feel good as well. For example, if you take a commitment at your homegroup as a greeter, you shake hands or hug people as they come in. To you it’s a service commitment, but for the newcomer who truly needs that it could make a world of difference. Now imagine they take a greeting commitment because of how much it helped? It keeps going. All from one person reached in a seemingly pointless service commitment. Integrity is one of the tricky things in recovery at first. It’s easy to do the right thing when you are constantly surrounded by people who are also doing the right thing. It’s a little bit easier to slip back into old behaviors when we’re alone. C. S Lewis stated that “integrity is doing the right thing, even when no one is watching.” How do you practice integrity? Easy, with practice! It can start with the little things, like replacing the toilet paper when the roll is empty, or don’t put a basically empty cereal box back in the pantry. Not littering is a huge one, typically when we’re using the last thing we’re concerned with is throwing something on the ground. It’s a small act that carries a lot of weight. All of these small practices to be a better person helps build our self-esteem. Self-esteem is made by doing estimable acts. It is a practice that we must apply in our everyday lives if we want to see the results. Challenge yourself, write down one thing you’re grateful for every day. Do something kind for someone without expecting anything in return, and practice integrity. Do this for 30 days straight and see how you feel afterward. Remember, it only takes about 3 weeks to build a habit!